A Division Bench of the Supreme Court on Tuesday refused to entertain a petition challenging the system of designation of lawyers as senior advocates in Kerala High Court. The Bench, comprising Chief Justice T.S. Thakur and Justice U.U. Lalit urged the petitioning Advocates to approach the High Court first, before approaching the Apex Court. The Petition was filed by Kerala High Court Advocates- Mr. M.K.S. Menon, Mr. P.B. Sahasranaman and Mr. V. Santharam. Their application for designation as Senior Advocate was declined by the Full Court through ballot system, since they failed to secure votes of two-third of the Judges present in the meeting, as prescribed by Rule 6 of the High Court Rules. 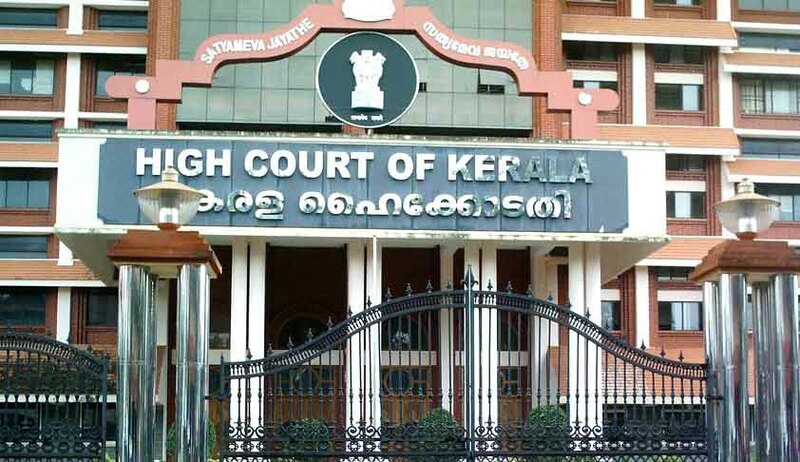 The petition had claimed that they could not have approached the Kerala High Court, since they were challenging a decision of the Full Court and it has been established that no person shall be a Judge in his own cause. The Advocates claimed that the designation was awarded to other advocates, with no judgments, testimonials or articles to their credit, because they had “support of Judges one way or other (sic)”. They had now challenged the manner of designation as not being in accordance with law, as it does not assess the merits of a candidate. This, it claimed, violated Section 16 of the Advocates Act, which provides for designation of an Advocate as a senior advocate, if the Supreme Court or the High Court is of the opinion that by virtue of his ability and standing at the Bar or on account of his special knowledge, or experience in law he is deserving for such a distinction. Further, even though one of the Judges was not present for the meeting, his vote was counted in arriving at the total number of persons ‘present and voting’. They submitted that this was in violation of the judgment in case of Lilly Thomas v. Ramaswamy, 1993 (4) SCC 234, wherein the Court had held that right to vote means right to exercise the right in favour or against the motion or resolution. Abstaining from voting does not amount to voting against designation, it had held. It averred that several Advocates with ability and standing at the Bar have not been conferred the designation of Senior Advocate, as none of the Judges have sponsored them. This it claimed, is because the process did not assess the Advocates on merits, which was evident from the fact that one of the Advocates selected in that meeting has not appeared before many of the Judges who voted in his favor, and that he can reliably be understood to be a person who has already abandoned his practice. The petitioners therefore prayed for the decision of the Full Court to be set aside and re-considered. They also brought to the notice of the Court that the Chief Justice of the Court is still capable of seeking indulgence of the Full Court and declaring the petitioners as Senior Advocates, despite the bar of a period of two years after the rejection of an application. This is in view of another Rule which provides for recommendation by a sitting Judge, even if the period of two years since the rejection has not expired. Another petition had earlier been filed by former Additional Solicitor General of India, Ms. Indira Jaising, challenging the existing system of designation of senior advocates in the Apex Court as being plagued with arbitrariness, favouritism and nepotism. Her petition submits, “The system of two classes Advocates stands on a premise of “excellence in Advocacy”. However, in practice, the system in the Supreme Court has indeed offended the rule of equality under Art 14 and notions of diversity guaranteed under Art 15 of the Constitution. It is pertinent to mention that the operation of the existing system of designation has particularly resulted in severe discrimination against persons from minority communities, differently-abled and women. In the last 15 years i.e., from 2000 onwards only, one Dalit has been designated by the Supreme Court, and only two from the Muslim Community.” This petition is currently pending before the Apex Court. You may read the LiveLaw article here.